Bev Jozwiak has earned her signature status in the American Watercolor Society, the National Watercolor Society, Watercolor West, and others, too numerous to mention. She is an International Award winning Artist. Born in Vancouver, Washington, Bev still resides there with her husband of 30 plus years. She has two daughters, and three grandchildren. 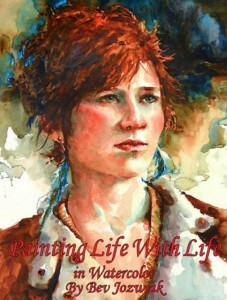 She has been included in countless “Best of Art Books”, including numerous times in the well know series by North Light, “Splash”. Has had a plethora of magazine articles, including one emagazine cover, and the cover of Sept. 2017 North Light Watercolor Art.